To display the Create Workspace dialog, select File > New or click the New Workspace tool on the toolbar . Click New in the left pane. Blank workspace: Opens a blank workspace file. You can build a workspace and save it to a file later. 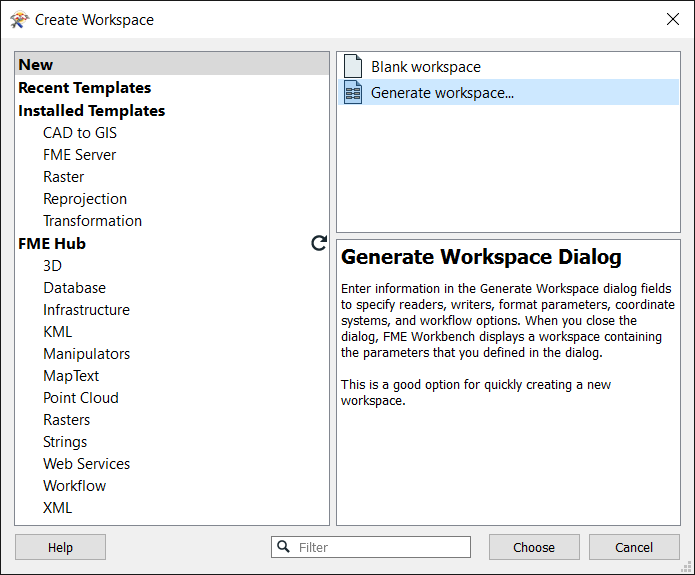 Generate workspace to set up a workspace using a traditional dialog. Create a workspace from a template.